How has the Diary come to be published? Anne McEntegart asked her niece, Shirley Nicholson, to publish the Diary after her death.Anne had never told Shirley about the Diary until that point - which was about four years before her passing in 1984 - nor did Anne offer any explanation about the Diary when she made this request. Anne left her niece to discover the Diary for herself and publish it at the perfect moment. Anne trusted that this would be done. 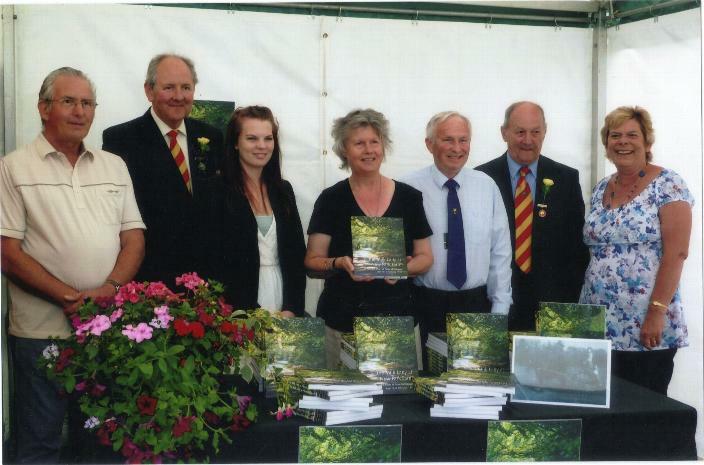 The Milk Lady at New Park Farm was published on July 15th 2011 and launched at the New Forest Show 2011. The Show is held on the site of New Park Farm where Anne worked during the War. There was no better place to launch it. 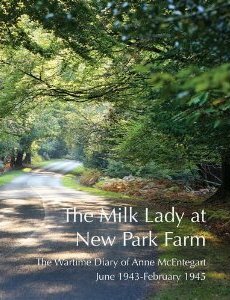 Correction: It was more than likely that Anne chose to work on a farm in Brockenhurst because her sister Vera was lodging there at the time. Vera's husband, Marryat Dobie, was with the Special Operations Executive, Beaulieu. 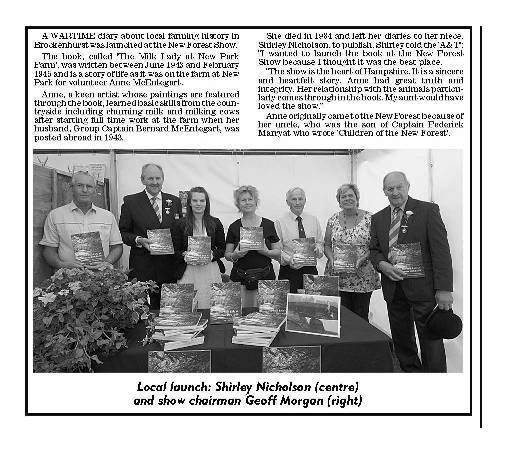 He had been named after his great grandfather, Frederick Marryat, who wrote CHILDREN OF THE NEW FOREST.